When you want the world's most recognized name in commercial bathroom accessories, this is where to find them. 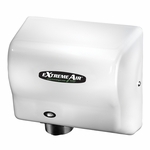 Top quality restroom accessories such as stainless steel soap dispensers, grab bars, mirrors, paper towel dispensers, baby changing stations, robe/towel hooks, waste receptacles, hand dryers, and more. All four of their famous lines are available including the ClassicSeries, TrimlineSeries, MatrixSeries and ConturaSeries (exclusive) which will ensure that all of your project and ADA compliance requirements are met. Don't sell your customer or the longevity of your project short. Quality starts here...buy equipment with the leading names in public restroom innovation.